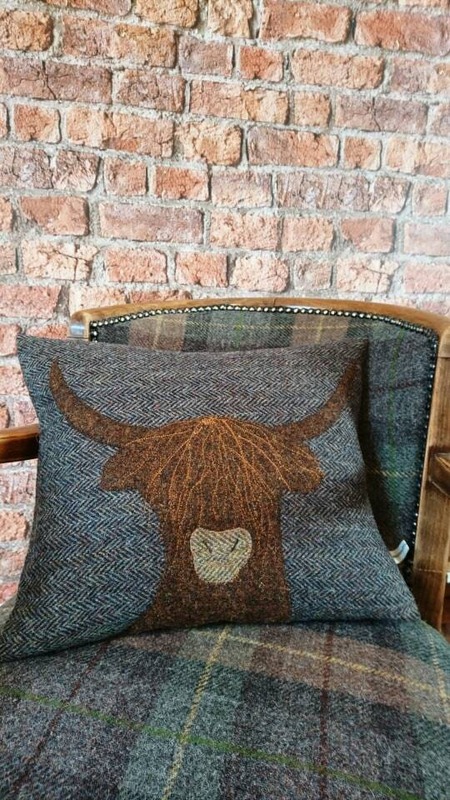 Beautifully hand crafted genuine Harris Tweed cushion cover featuring embroidered Highland Cow. 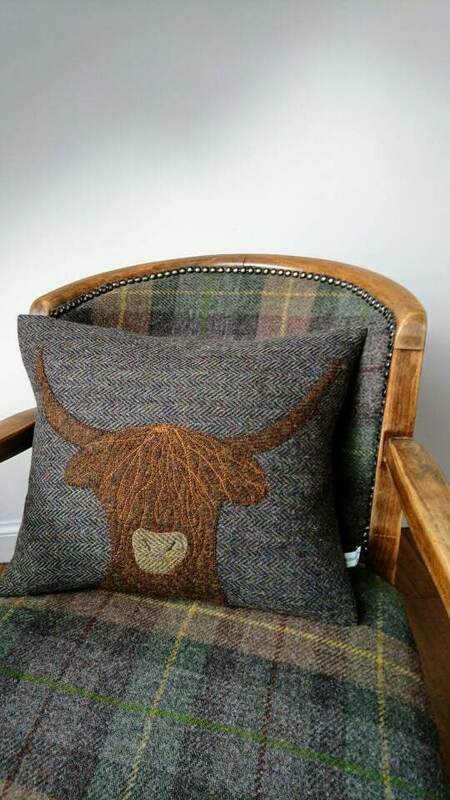 The cow is hand drawn, cut from wool and embroidered onto the cushion. Harris Tweed fabric on both side with envelope style opening at the back.